This is one of my favourite books, and I have recommended it to so many people. It will have you hooked from the start and I learnt a lot about WW2 and Russian history from this absolutely gripping and heart-breaking novel. I really enjoyed this book. The historical detail regarding Russia, Leningrad and World War 2 was very engaging. The love story theme has some rather unbelieveable moments but I still found myself looking forward to reading this novel every day. Recommend it highly!! Now this is a love story I've never read before, with sensual love scenes that puts "Fifty Shades of Gray" to shame. Really loved this story. 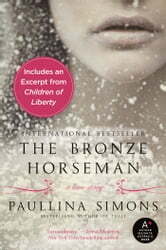 Set in WWII Russia it follows the journey of Tatiana a young Russian girl and Alexander an army officer. I love when a book manages to evoke so many emotions. It was intense, heartbreaking, frustrating at times, but it also had me hopeful and cheering. I so love the characters and the story, even after reading it 3 times.